World Famous Pete Johnson of Tatuaje Cigars Brings Excitement to Event At The Cigar Factory Outlet in Troy, Michigan. We were honored that Pete Johnson visited The Cigar Factory Outlet. Especially considering that Pete only does roughly five events per year, it was very special to kick off 2009 by hosting Pete at our facility. CigarFox.com, owned by entrepreneur Dan Jenuwine, Sr., had the pleasure of hosting Pete Johnson of Tatuaje Cigars for an event held at The Cigar Factory Outlet in Troy, Michigan. The CigarFox.com Event of the Week was held on January 9, 2009 from 3 to 7 pm. One of the most recognizable names in the cigar industry, Pete Johnson gathered for a meet and greet among event attendees who enjoyed sampling and smoking of Tatuaje Havana VI cigars. The Tatuaje Havana VI line is comprised six different sizes and the first initials of all the different sizes spell out the name of Pete's favorite dog, "Havana". The Havana VI is a Nicaraguan puro cigar meaning the blend of the filler tobaccos is all Nicaraguan, the binders are Nicaraguan Puro and the wrapper is a Nicaraguan 99 Corojo wrapper, providing a ton of flavor, yet maintaining a medium to full-bodied taste. Mr. Pete Johnson Johnson was not expected to make any additional promotional stops while visiting Metropolitan Detroit. Commented CigarFox.com owner Dan Jenuwine Sr., "We were honored that Pete Johnson visited The Cigar Factory Outlet. Especially considering that Pete only does roughly five events per year, it was very special to kick off 2009 by hosting Pete at our facility." Event attendees enjoyed discounts, food and refreshments - as well as a free Tatuaje Black 3 pack sampler with all box purchases. The Jenuwine Family has been in the Cigar Business since 1946 as a Wholesale Distributor, a Retail Tobacoonist, and a Direct Marketing Mail Order Company. With roots in the Detroit tobacco industry for more than 50 years, CigarFox.com, owned by the Jenuwine family, recently expanded their business to the digital marketplace where guests create their own cigar collection by mixing and matching specific cigar brands, flavors and sizes. From its initial mail order business opened in 1997 containing 11 items, the business today features CigarFox.com, Cigar Factory Outlet, and a mail order service that sold more than 900 million cigars in 2007. 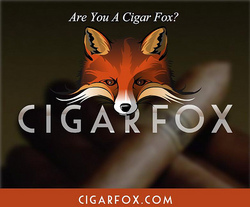 CigarFox provides you the opportunity to build your own sampler of the finest cigars that include cigar brands like Montecristo, Romeo & Julieta, H Upmann, Macanudo, Cohiba, Partagas, Gurkha and many more. Choose from more than 1200 different cigars! Other cigar products include cigar humidors, cigar boxes, and cigar accessories like Zippo Lighters. For more information, please visit http://www.CigarFox.com.